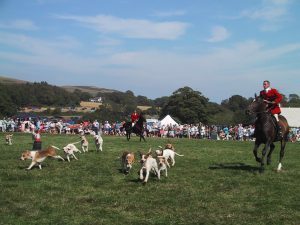 Last year the Gower Show is celebrated its centennial year when it was held on Sunday, 6th August 2017 in the stunning parkland of the Penrice Castle Estate near Oxwich Bay. The show is a traditional, one-day event set in one of the finest locations for such an event in the country. If you enjoy the countryside, or are looking for a different, fun-filled day out, you and your family will really enjoy The Gower Show – it’s an event not to be missed! A full programme of displays and events will take place throughout the day. If you’re visiting the Gower Show for the first time, you will be amazed at the variety of activities which can be enjoyed by people of all ages. The organisers extended the exhibition of traditional country crafts and skills, and the opportunity to talk to people who keep these old traditional skills alive. These are just some of the events that took place last year; and there’s a lot more happening at the showground throughout the day yet again this year. The Gower Show is very much a traditional agricultural event; it is a chance to see that farming is still so very important to our area. There is a fantastic livestock section with many different breeds of cattle, sheep and pigs all competing in their different classes, and it is a chance to get a really close look at some of the finest examples of livestock. Other displays and exhibits are housed in marquees all around the parkland, including a look back over those 100 show days in a special area within the Gower Society Marquee. 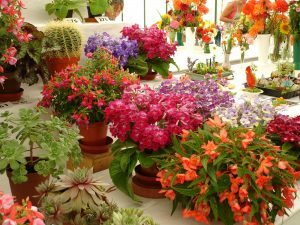 There are the dramatic, artistic flower arranging in the Horticulture marquee, and a chance to compare cooking skills in the Cookery tent. In the Honey tent, you can even get dressed up and have a look at a working bee hive. If shopping takes your fancy, there are plenty of local arts and crafts available to purchase from a carefully selected range of trade stands with unique products, not seen in the High Street. Growing in popularity is the fine selection of local food that is available to taste and buy. Then when your feet are feeling tired, why not join our local WI ladies in their refreshment tent for a welcome cuppa and a home cooked slice of cake! Come along and and celebrate the countryside at Penrice Castle Park on Gower Show Day, Sunday 5 August 2018.